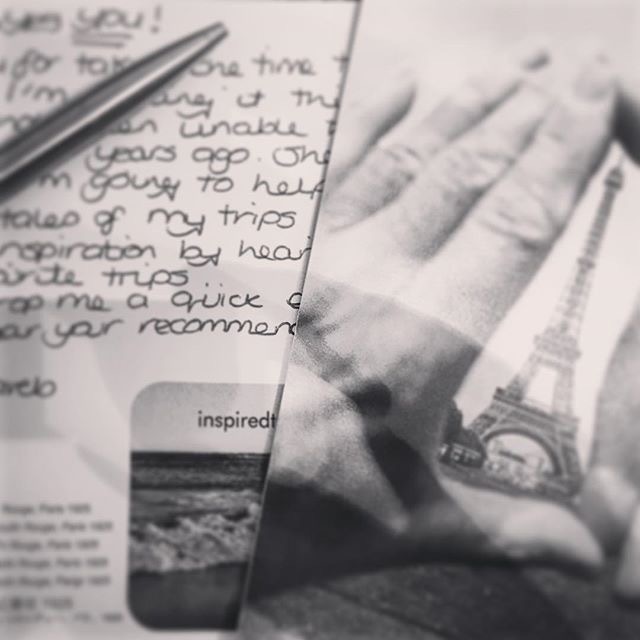 To find out more about the 60 Postcards journey so far, you can read a summary here. The Tribute Collective, which launches in November (initially to readers of this blog), is all about inviting people to join a unique, collaborative group – a chorus of voices – who use words and stories to remember and celebrate loved ones. Sarah’s story is a different example of grief and one that is very important to share. When I heard that she had created a postcard project of her own, I got in touch with her to tell me all about it…. “Hi I’m Sarah, a 40-something-year-old from Kent, England. Back in March this year I finished reading Rachael’s book, 60 Postcards, whilst on a touring holiday in Spain. I could really relate to her grief – it’s one of the only books I’ve read that made me shed a tear. Although my situation is very different, I could relate to it as my mum, Anne, had a major stroke 8 years ago. Although we are still lucky enough to still have her with us, she is severely disabled, needs everything to be done for her and has completely lost her independence. That is just not my Mum! Prior to her illness she was extremely active, always out and about and the life and soul of any party. That few seconds back in October 2007 cruelly swiped the ability for that life away and left her with a body unable to function in most normal ways, exhausted with fatigue and at times unable to clearly remember or register what’s going on around her. 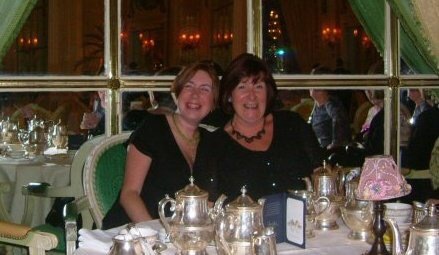 So although I am lucky that she is still here, I grieve for my mum the way she was. I decided that it would be fun to start a similar project to Rachael’s, by hiding postcards for people to find. I scribbled out a brief message which changed several times and then set up an email address dedicated to this project. In the message, I asked the ‘finder’ to give their recommendations of places I could visit which I could talk to my Mum about. Once I had refined the message, I wrote out my first postcard. When we headed out on the next day of our tour, I took my postcard with me and decided to hide it when we stopped for lunch. We were on a day trip in the Pyrenees and stopped at a café bar in Font Romeu for lunch, I decided on my hiding place and carefully left the postcard, feeling like a criminal. I’m not sure that you can be arrested for hiding a postcard but I felt like I might be. Shortly afterwards, I left the cafe feeling very pleased with myself and bought another postcard in preparation of my next hide. 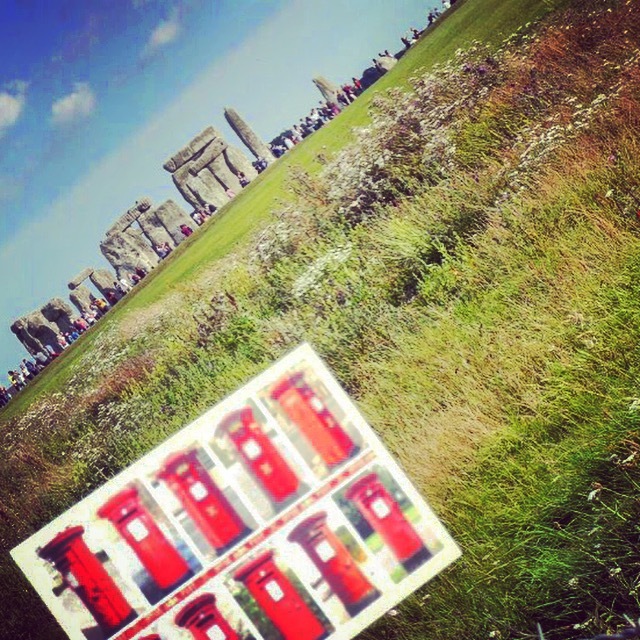 To date, I have hidden 15 postcards at various locations around the UK and Europe. Recently, I started to feel brave enough to talk to people about my project. I am overwhelmed by the response I have received. Everyone is extremely enthusiastic about the idea and I’ve had offers of help from donations of postcards for me to use, to people wanting to write and hide cards for me. I’ve currently got friends travelling around Europe buying and hiding cards for me, as well as taking cards back to Australia to hide there for me too. Each week is bringing new discussions and the opportunity to interact with new people. I’m having fun, enjoying sharing tales of how the project is evolving with both my parents and enthused by the offers of help I am getting. I’ve yet to hear from a finder, but I guess the way I am hiding the cards is a bit of a needle in a haystack chance of them being found. I have every confidence that I will get a finder eventually, though. In the meantime I’m having great fun and it has created interesting conversations to have with my beloved Mum each week. If you want to hear more or join in the fun, please contact me on Twitter (@travelinsp) or via my email address (inspiredtravels71@gmail.com). Thank you so much to Sarah for writing this and I will be following to find out more about the wonderful postcard locations and how everything develops. I hope this is the first of many stories shared – if you have one (it doesn’t have to be postcard related, of course) then please drop me an email or a tweet. Have a beautiful bank holiday break. It’s a great honour to be asked to post an article as a guest on your blog Rachael. Thank you so much. If an readers want to know more, pls get I touch. I’d love to hear from you.